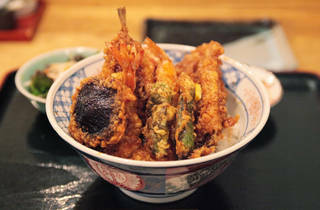 Tensen in Edogawabashi attracts crowds with its reasonable prices and high-quality fare. 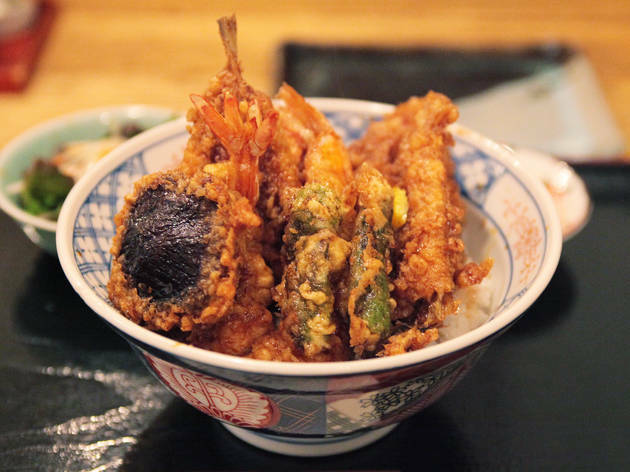 The Tokusei tempura bowl (¥1,600) is loaded with prawns, eel, Japanese whiting and vegetables, as well as thick shiitake mushrooms stuffed with shrimp dumplings. The batter is thick and chewy but not too oily, while the piece of yuzu peel on top makes for a nice accent.